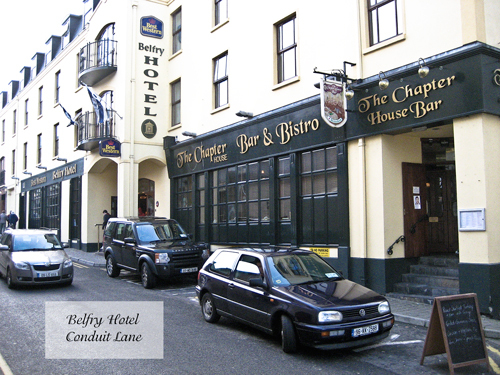 The Belfry was a 3-star Hotel located in the heart of the City, just off the centre of the Quay, at Conduit Lane, but it has since been demolished. 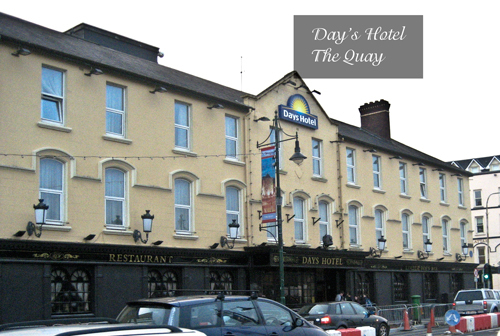 Formerly Breen's Hotel, Day's Hotel is located very close to the main bridge over the River Suir and is close to the train station. 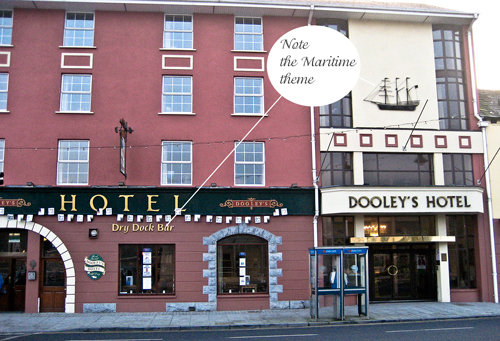 Dooley's is not too far from the Bridge and is on the Quay opposite the Bus Station, with excellent views of the Suir. 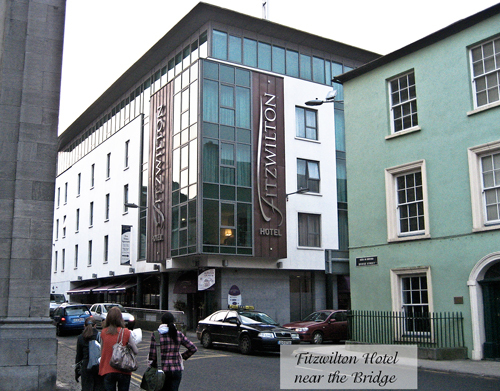 Just around the corner from Day's Hotel, near the Bridge, the train station and the Bus Station, the Fitzwilton is Waterford's newest hotel. 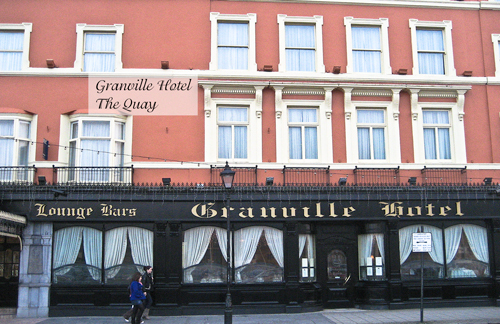 Centrally located on the Quay, the Granville offers easy access to all Waterford has to offer. 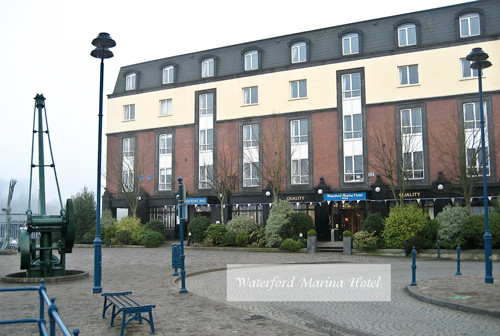 The Marina has great views of the River Suir and St. John's River and is within easy walking distance of all local amenities. 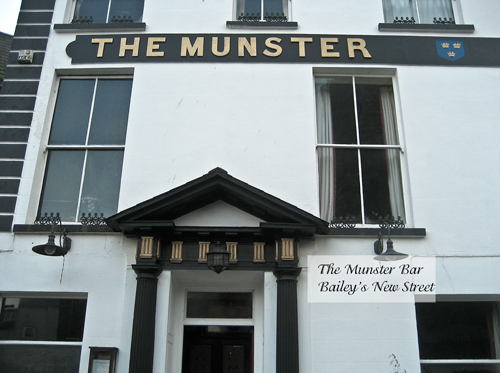 The Munster is a great place to eat and drink in convivial surroundings. Family run (by the Fitzgeralds), you'll get the best steak in Ireland here (or ask for colcannon and ribs, if you like local fare). 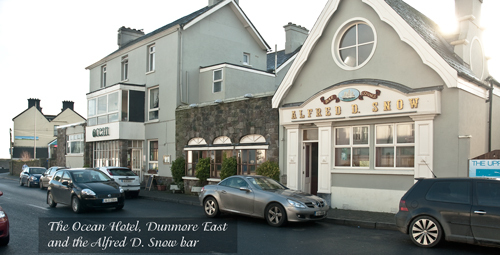 The Ocean is in the attractive village of Dunmore East and has a special charm all of its own. 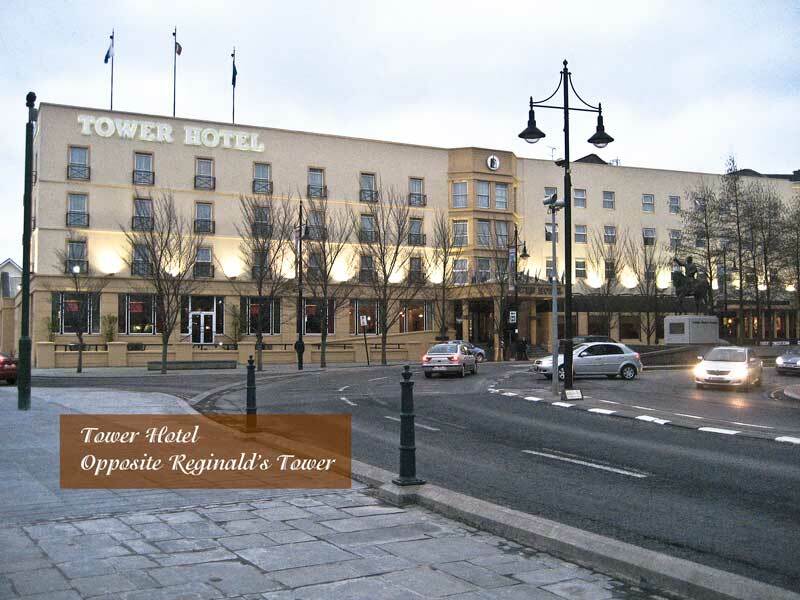 The Tower Hotel is prominently located on the riverfront at the end of Waterford Quay, and close to all the action. Close to the City with several flights daily to various destinations in Ireland and abroad. See www.waterfordairport.ie for a full list of flights. 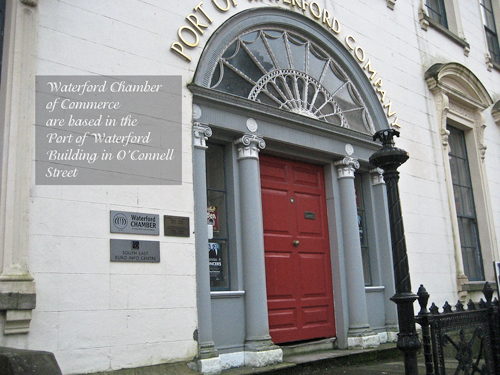 The Waterford Chamber of Commerce is the umbrella organisation for all the businesses in Waterford to whom it offers a wide-ranging list of services. Actively promotes the City, its people and local businesses. Has its offices in the impressive Port of Waterford building, off the Quay. 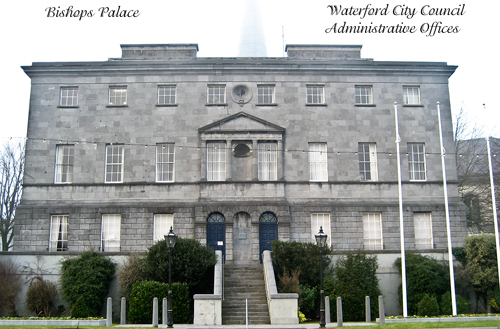 Waterford City Council dministers the City and all its services. Located in the historic Bishop's Palace which will soon be renovated and converted to a museum when the City Council moves across the road to new offices. Pallas Foods are suppliers to the food service industry, offering a range of products, a nationwide delivery service and they have nine distribution centres, strategically located in Ireland. The Passage east Car Ferry operates continuously in daylight hours between Passage East on the Waterford side and Ballyhack on the Wexord shore of the Waterford Estuary. Operating since 1982, the ferry can accommodate up to 28 cars. 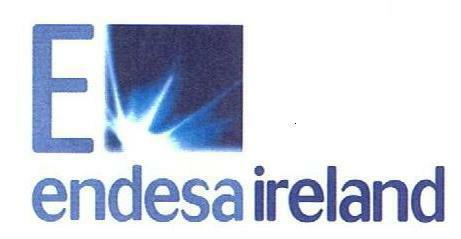 ENDESA Ireland, a subsidiary of the largest utility company in Spain, was set up in 2009 to take over 20% of the ESB generating capacity. They control the power station at Great Island, opposite Cheekpoint. They intend to replace the existing oil-fired station and convert to natural gas. The new station will generate twice the capacity of the old one, while consuming only the same amount of environmentally friendly gas as fuel." Dawn Meats are one of Europe's largest food processing companies and one of the largest suppliers of prime Irish beef and other meat products. Rapid Cabs, based in Parnell Street in Waterford, operate 365 days a year, all day and all night, and have a fleet of taxis, hackneys, coaches and mini-buses to cater for all needs. The Woodlands Hotel offers a range of facilities for the visitor, including bars, restaurants, leisure facilities and accommodation. A lively atmosphere is always guaranteed here. Failte Ireland is the national body entrusted with promoting Ireland as a premier tourist destination and is the lead organisation in promoting and supporting tourism activities in Ireland. Dowlings Pharmacy, Ardkeen; Mulligan's Pharmacies (Broad Street, The Bull Ring and The Cove); Burke's Pharmacy, Morgan Street; McCauley's Pharmacy, Broad Street; Carroll's Pharmacy, The Bull Ring Ballybricken; Power's Pharmacy, Ballybricken; Delaney's Pharmacy, Johnstown; Gallagher's Pharmacy, Barronstrand Street. WIT is a university-level institution in the South-East of Ireland with over 10,000 students and 1000 staff. M K Brazil & Co.